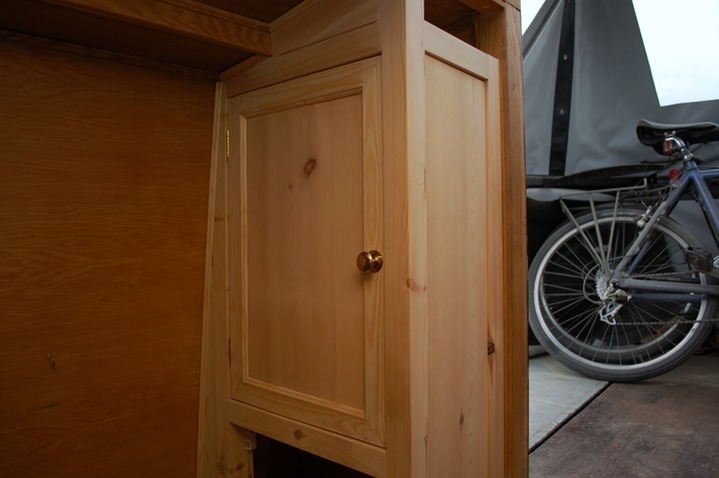 This cabinet was built to utilize space near the rear hatch. It provides storage for glasses and incorporates a shelf to store a phone and keys whilst driving the boat. In Oregon Pine with brass fittings.